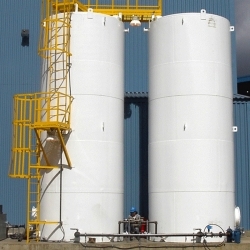 Our chemical resistant paint and coatings offer protection to concrete, cementitious mortars and rendering, metal, timber, asbestos, and more in a wide range of chemical processing environments and industries. Protection against chemicals comes in various guises around the workplace every day, from protective clothing, storage of chemicals, protecting bunded areas from accidental spillage, etc. These products help provide a solution for our customers to protect different surfaces where necessary from a vast range of chemicals, whether it be chemical and acid resistance for floor areas, tanks (internally and externally), bunds, walls, and more. The superior technology used in our products means that even some of the harshest chemicals at high concentration can be protected against with minimal effort and cost. For chemically resistant tank and pipe linings, Rawlins Paints have set up a specialist category, which focuses on a range of metal and concrete coatings for the marine, offshore and processing plant sectors. 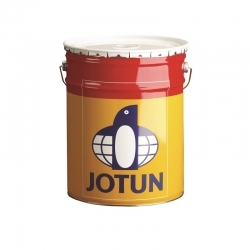 Jotun Chemflake CV is a glass flake reinforced conductive unsaturated vinyl ester coating. It is an ultra high build, chemical resistant and fast curing barrier coating that can be used as primer, mid coat or finish coat in atmospheric and immersed environments. Suitable for properly prepared carbon steel substrates. Jotun Hardtop CA is a two component cross linked acrylic coating that does not contain isocyanates. It has a gloss finish with good gloss retention and is a high solids product. The product has good application properties with low dry spray which makes it ideal to be used as topcoat in atmospheric environments. Has there been any maintenance or repair work conducted? Will the surface be subject to abrasion and vehicular use? How porous is the substrate? Please refer to product datasheets always, as scenarios given are not reflective of all products. 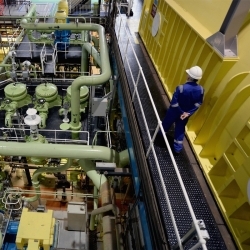 Epoxy coatings provide outstanding protection against caustic fluids, fuels including oil and petrol, fatty acids, salt or sugar solutions in food processing or pharmaceutical facilities, chemical cleaning and related cleaning detergents or product spillage. Environments and surfaces specialist epoxy coatings may be used in include swimming pools, large floor areas, indoor car parks, garage floors, warehouse floors, workshops, showrooms, etc. An aesthetical feature of epoxy paints is that they can produce a long-lasting super gloss or wet look. This may be preferred in environments where a facility is open to inspection, lectures, tours and showcase demonstrations. 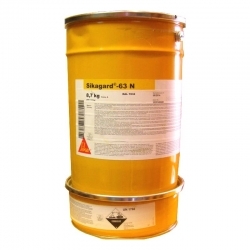 In aggressive and extreme environments, a two component epoxy coating, like that found within International's Intergard 410, delivers as an anti-corrosive barrier for high-build sites and on external tanks. As with many Rawlins Paints' products, it comes available in a wide range of colours (see here for more detail). 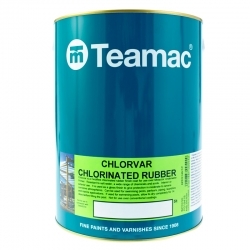 If you need any advice or guidance with your chemical resistant paint project, call our Technical Team to discuss what product(s) will be best for you. Site visits can be carried out for larger projects so a full specification can be produced in writing, which will be tailored to meet the projects requirements. Data sheets and advice are always freely available to help you with your project.